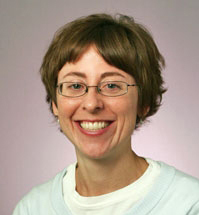 Maureen R. Waller is Associate Professor of Policy Analysis and Management at Cornell University. Before joining the PAM faculty, Waller was a research fellow at the Public Policy Institute of California. She received her PhD in Sociology from Princeton University. Maureen Waller is a sociologist who studies families, poverty, and social policy. Waller's research has used a mixed methods approach to examine social and policy issues which deeply impact the lives of poor families. This work draws on hundreds of qualitative interviews she conducted with low-income mothers and fathers as well as national survey data to provide new insight into parents' experiences with fatherhood, marriage, coparenting, and the child support, welfare, family court, and criminal justice systems. One current project draws on qualitative interviews and survey data to explore unmarried parents' avoidance of, and engagement with, the family court system to establish parenting time orders. A second mixed method project funded by the WT Grant Foundation with collaborators at BU and Rutgers, uses multiple data sources to investigate whether fathers can reduce disparities in outcomes for low and high income children, and which social and economic policies are effective levers for supporting disadvantaged men's involvement. Funding for Waller's research has been provided by the WT Grant Foundation, NICHD, NSF, NIFA (USDA), the William and Flora Hewlett Foundation, the Public Policy Institute of California, the Cornell Population Center, the Institute for Social Sciences, and the Bronfenbrenner Life Course Center at Cornell University. Waller, Maureen R. "Getting the Court in Your Business: Unmarried Parents, Institutional Intersectionality, and Establishing Parenting Time Orders in Family Court." Social Problems (forthcoming). Waller, Maureen R., Allison Dwyer Emory and Elise Paul. (2018). “Money, Time or Something Else? Measuring Nonresident Fathers’ Informal and In-Kind Contributions.” Journal of Family Issues. 39 (13): 3612-3640. Waller, Maureen R. and Allison Dwyer Emory. (2018). "Legal Visitation Orders, Family Courts, and Fragile Families." Journal of Marriage and Family. 80: 653-670. Turner, Kimberly and Maureen R. Waller (2017). "Indebted Relationships: Child Support Arrears and Nonresident Fathers' Involvement with Children." Journal of Marriage and Family, 79(1): 24-43. Katzenstein, Mary Fainsod and Maureen R. Waller (2015). "Taxing the Poor: Incarceration, Poverty Governance, and the Seizure of Family Resources." Perspectives on Politics, 13(3): 638-656. Waller, Maureen R. and Maggie R. Jones. (2014). "Who is the Residential Parent? Understanding Discrepancies in Unmarried Parents' Reports." Journal of Marriage and Family, 76: 73-93. Waller, Maureen R. and Allison Dwyer Emory. (2014) "Parents Apart: Differences between Unmarried and Divorcing Parents in Separated Families." Family Court Review, 52: 686-703. Waller, Maureen R. (2012) "Cooperation, Conflict, or Disengagement? Coparenting Styles and Father Involvement in Fragile Families. Family Process, 51: 325-342. McHale, James, Waller, Maureen R. and Pearson, Jessica. (2012). "Coparenting Interventions for Fragile Families: What Do We Know and Where Do We Need to Go Next?" Family Process, 51: 284-306. Waller, Maureen R. (2001). "High Hopes: Unwed Parents' Expectations about Marriage." Children and Youth Services Review, 23 (6/7): 457-484. Waller is a member of the graduate fields of Public Policy, Sociology, and Public Affairs at Cornell University and holds a courtesy appointment in Sociology. She is an affiliate of the Cornell Population Center (CPC), the Bronfenbrenner Center for Translational Research (BCTR), and the Center for the Study of Inequality (CSI). She is a research associate on the Fragile Families and Child Wellbeing Study and serves on the editorial board of Journal of Marriage and Family.